It's Friday, which means it's time to share some of my favorites with you! If you want to see what other gals in this series are favoring about this week, you can check out their lists out here. I had heard about those online cash/points programs before and always dismissed them - who has time for that?! Then one of the bloggers I follow was sharing about the money she had made from using Swagbucks only from searching the web and online shopping. Two things I already do. So I signed up almost a year ago, and I've already earned $50+ in Starbucks gift cards (my gift card of choice - there are thousands to choose from!). There are dozens (hundreds?) of ways to earn "swagbucks" but, like I said, I only use two (searching and shopping) and I've been very happy with the results. If you want to get started, which I think you should - free money, duh, you can sign up here! We started using this clock in my toddler's room when he was 13 months old. Yes, as a one-year-old he grasped the concept that mom doesn't come in until the light turns green. By the time he was 1, he had gotten great at playing quietly in his crib if he woke during or early from his nap. But trouble arose when eventually he started crying until I'd come in, because he had no other way of knowing what was going on. So we explained to him that the clock will turn green when it's time for mom to come in. This gave him some sense of "control" over knowing what was going on. And it worked beautifully. I think it helped the most during the transition from a crib to toddler bed; we haven't had one single issue with him getting out of his bed when he wakes early from a nap or randomly wakes up in the early hours of the morning. If the clock isn't green, he simply stays in bed. It's all he's ever known. Obviously, I highly recommend you get one and start using it now if you're having issues with toddler staying in bed and/or pre-toddler crying when nap isn't over yet. Before you buy, be sure to check camel camel camel for a price history as sometimes this clock jumps in price. And Then There Were None is a nonprofit organization that works to help abortion clinic workers leave the abortion industry. The focus of the ministry is providing a whole host of services to workers choosing to leave the abortion industry. Those services include: financial help, legal support, emotional healing, spiritual guidance, and employment help. All of their services are free. This nonprofit was founded by a former non-Christian Planned Parenthood Clinic Director turned Christian pro-life advocate thanks to the work of faithful Christians consistently gathering outside her workplace to pray for those inside the building (workers, mothers, babies). 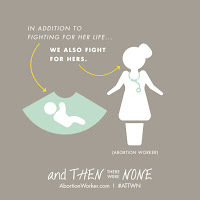 Abortion workers are often demonized by the pro-life movement, and it's forgotten that the abortionists and their staff members are actual people with feelings, worth, and value. They are people who need help, healing, and a real picture of who Jesus is and who they are because of Him. I love this ministry because regardless of where one lands in their opinions on abortion (and I'm not just talking for/against - because there are many nuances in between), it seems reasonable for everyone to agree that those leaving the industry may need help processing and healing from the line of work they were involved in. And that's where this ministry comes in - to fill a much needed void for those individuals. This post contains affiliate links. Click here to see my affiliate link policy. This blog contains affiliate links throughout the site and within blog posts. When you purchase a product through my affiliate link, I receive a small percentage of your sale in return for my recommendation. Instead of running 3rd party advertisements on the blog, I have opted to only use specific affiliate links to products that I truly recommend. © 2017 Unauthorized use and/or duplication of this site's written content, graphics, or photos without express and written permission from this blog’s author is is strictly prohibited. 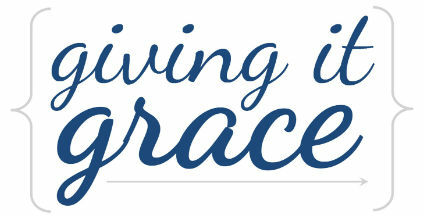 Excerpts or summaries may be used, provided that full and clear credit is given to Stephanie Hansen and www.givingitgrace.com with appropriate and specific direction to the original content.